The deadline to electronically file ACA forms 1094-C and 1095-C for the 2018 tax year was April 1. Did your organization make it? If it did, were all your submissions accepted? If not, you may need to submit corrections for the 2018 tax year to the IRS as required under the ACA’s Employer Mandate, or be subject to penalty assessments under IRC 6721/6722. 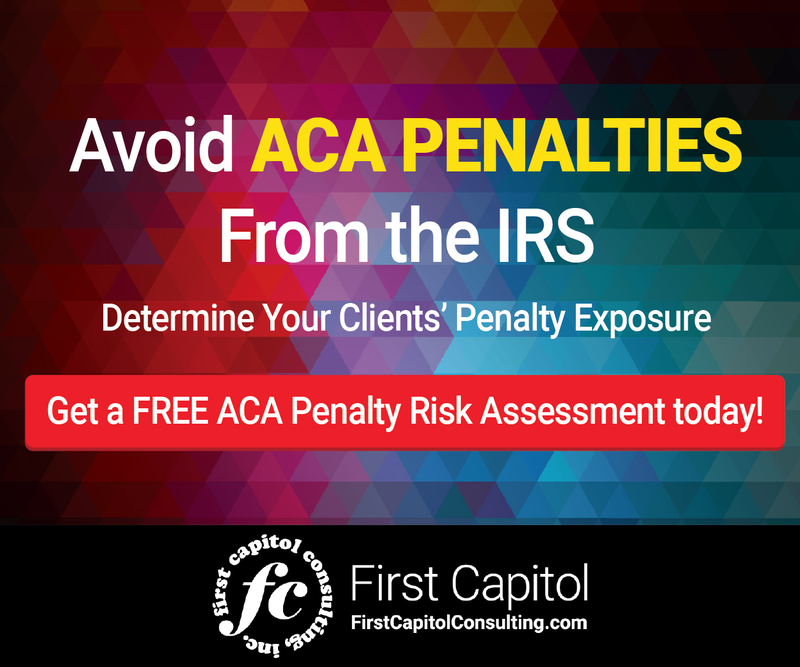 Some IRS assessments for this penalty have been in the millions of dollars. Under the ACA’s Employer Mandate, Applicable Large Employers (ALEs), organizations with 50 or more full-time employees and full-time equivalent employees, are required to offer Minimum Essential Coverage (MEC) to at least 95% of their full-time workforce (and their dependents) whereby such coverage meets Minimum Value (MV) and is Affordable for the employee or be subject to IRS 4980H penalties. The penalties for IRC 6721/6722 come into play if the ALE’s filing to the IRS was deemed to be late or either in error or rejected by the IRS. Accepted: The best status to receive here is “Accepted.” This means that the IRS has not identified any discrepancies between the information being communicated on the 1094/1095-C forms and the information within their internal databases. Accepted with Errors: While not as ideal as “Accepted,” it is not a bad response to receive. Essentially, the IRS has identified a mismatch in all or a handful of 1095-C forms submitted. The most common errors involve Taxpayer Identification Numbers (TINs). TIN errors can occur for a number of reasons, but usually can be resolved rather quickly. Learn more about TIN errors and correcting them by clicking here. Processing: This is an interim status that simply means that the transmission has not finished processing. Partially Accepted: This means that the IRS has identified errors in the transmission, but nothing fatal that would permit a complete rejection. There was, however, a portion of the transmission that was deemed unusable. Not Found: This message means that the unique transmitter ID (UTID) or Receipt ID in the transmission was not found. Double check your information and resubmit. Rejected: Potentially, the worst response an organization can receive is the status of “Rejected.” A rejection occurs when the submission was not sent in the correct format, there was an error in the 1094-C transmittal, such as a wrong EIN, or a combination of the two. If you receive a status of “Rejected,” the entire submission needs to be replaced. In the event your organization receives a status of “Rejected,” it really is a benefit to have submitted your ACA filing electronically. Employers that may have chosen to paper file would not have known about the errors in their submission until several months later. 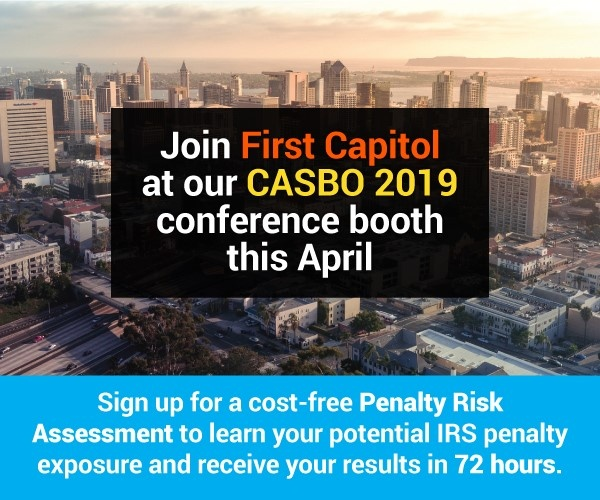 In the event this happens for a paper filing submission, employers may receive a notice warning of penalties or a Letter 5005-A /Form 866-A penalty assessment under IRC 6721/6722. Before making corrections, it’s important to note if the submissions were rejected due to formatting and were an original submission. Employers should NOT mark the original submissions as corrected in the resubmissions. Corrections are for actually changing the details unique to the 1095-C schedules, such as employee name, coverage effective period, social-security number, etc. If you are submitting corrections, you must indicate so on the applicable 1095-C forms. There is a box at the top right-hand corner that must be checked in order to communicate to the IRS that the form has been updated and is being resubmitted as “Corrected.” If submitting corrected 1095-Cs, they need to be submitted with a non-authoritative 1094-C transmittal. If submitting a corrected 1094-C, it needs to be sent stand alone and marked authoritative. If submitting both, they need to be transmitted separately. In order to indicate the type of 1094-C, there is a section to mark as authoritative or non-authoritative on line 19. Submitting corrections may be difficult for some employers. The IRS is very specific on how to resubmit corrected forms. Failing to correctly file, or submitting information that isn’t impeccable, may result in receiving an Employer Shared Responsibility Payment (ESRP) assessment in IRS Letter 226J. 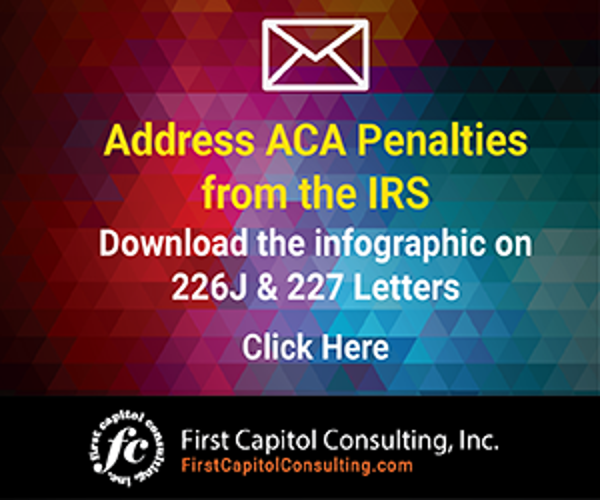 Click here to learn more about Letter 226J and how to respond to this penalty notice. Hiring an outside expert can remove the burden on employers of having to consolidate data and accurately report it in the corrected submissions. Consider using an outside expert that can use both a deep understanding of the ACA and data quality management to identify errors in your ACA filing. An outside expert should also save and provide the Receipt ID which signifies that the transmission occurred. This ID will allow for corrections and provide proof that a filing was performed in the event of a future IRS audit. Be sure that any third-party vendor you use will perform this service.